Last month on 13th we sent one set of hydraulic jack in Azerbaijan, this is a 320tons,800mm stroke double acting hydraulic jack, and it is matched with a 7.5kw oil pump station, it is three phase 380v 50hz. 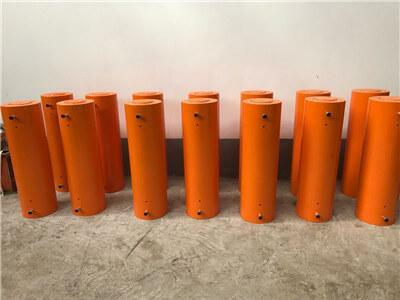 This is a customized hydraulic jack for sale, belong to synchronous control applications hydraulic jack, one pump with two jacks, used for offshore operation. Power of pump station: 1.5kw、3kw、4kw、5.5kw、7.5kw、11kw、13kw.